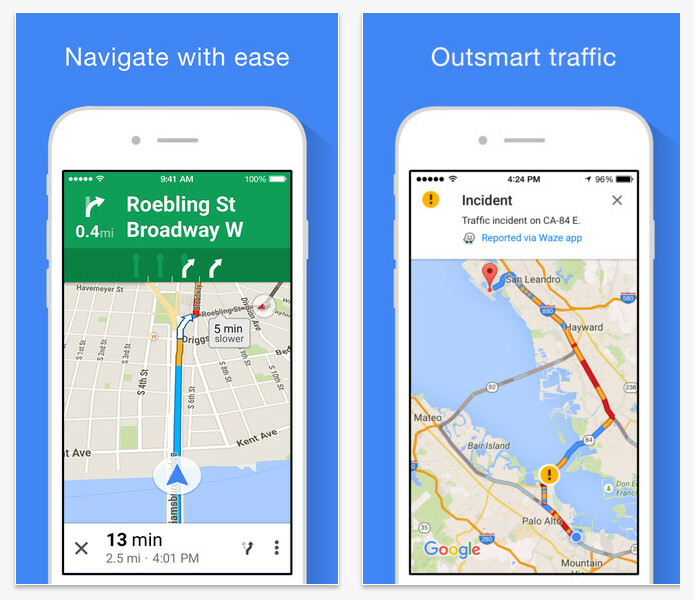 Google Maps in its latest iOS app update is now supporting Apple Watch. In the press event, Google has announced various new products and updates including two new flagship Nexus phones — the Nexus 5X and Nexus 6P, Apple Watch app etc. Until today, Apple Maps has been the only option if you want to use your Apple Watch for the directions. But today the new update from Google Maps on iOS includes full apple watch watch support. When you open up Google Maps straightforwardly on your Apple Watch, you’re given two extremely basic choices: directions to get you either to your home or your work (as officially set in your Google account). It’s a savvy yet exceptionally moderate approach to utilize the Watch; it doesn’t resemble there’s an approach to really show a full map here, not at all like in the Apple Maps application. You will only see a simple arrow showing the distance you need to travel before turning or stopping. The direction will show you which way to turn. The updated version of Google Maps for iOS is live here on iTunes.